Watch your favourite video songs and movies in video player. It supports MPEG4, H.264, Motion JPG, MOV file types. Listen to your favourite songs in music player. It supports MP3, AAC, eAAC, WAV, M4A (Apple lossless) etc. file types. Yesterday we decided not to stand between you and your desire to upgrade to the iPhone 4S. We got part of it wrong though. For true believers, getting the latest Apple tech is never about something as mundane. They dont just upgrade, they get elevated to a new level of well-being and fulfillment. 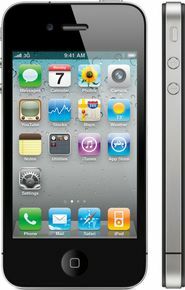 iPhone 4S over iPhone 4: Should I stay or should I go? People who are upgrading from an iPhone 3GS or earlier or don't have an iPhone at all but want one should skip over the iPhone 4 and go straight for the 4S. The $100 you'll save are not worth it in the long run.